The papers collected in this volume reflect on origins of data collection and statistics from an archival perspective. Not all data are the same and it is important to take into consideration by whom they where collected, when and to what purpose when drawing conclusions for research and policy making. A variety of different experts compare their experiences and show novel ways in which these date collections can be used. History of Financial Institutions contributes to the analysis of how the modern corporation, business and finance have shaped and keep on shaping our world. 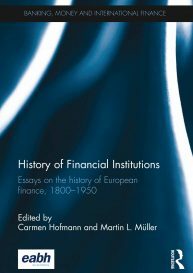 In a collection of nine succinct essays, this volume looks at the role of finance in European history from the beginning of the 19th century to the period after the Second World War. 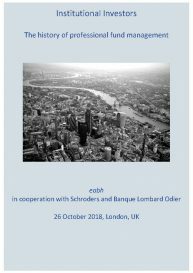 With present concerns over the regulation of the banking industry continuing to make headlines, an examination of the historiography of financial crises is timely. 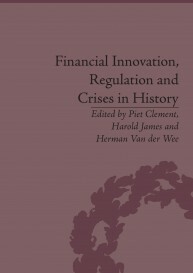 With contributions from world-renowned figures such as Niall Ferguson, Adair Turner and William R. White, this volume investigates how financial institutions and markets have undergone or reacted to past pressures; the role of financial innovations in this process; and the regulatory responses that emerged as a result. 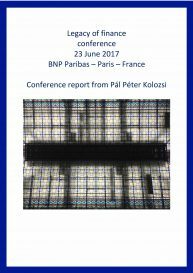 This essay sums up an eabh conference about the so called haute banque which had emerged as an elite or sub-category of private banks in France during the Restauration. These institutions dealt with major international businesses and also had business with the State. With the beginning of the 20th century their importance continuously began to decline until it had vanished after World War II. Interestingly, many of those former haute banque houses came back on the scene again at the beginning of the 21st century. How did this happen? And why? 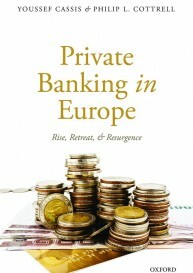 Analysing the experiences of European private bankers from the early modern period to the early twenty-first century, this book starts by examining the slow emergence of specialist private bankers and culminates in a focus upon the roles that they played, both during the onset of the continent’s industrialization, and in orchestrating the finances of the emerging world economy, followed however by its waning importance with the rise of joint-stock competitors a decade later. 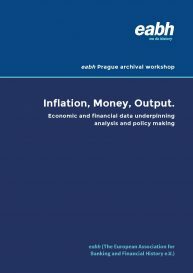 The work concludes with the analysis of the revival of private banking in the late twentieth century as a response to the development of a new market – the management of personal wealth. 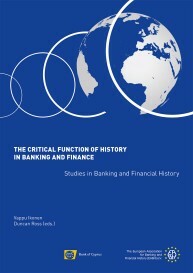 The papers gathered in this volume reflect on the importance of the role of history in banking and finance. They offer an opportunity to reflect on the many and multifarious ways in which banking institutions are the products, at the same time, determinants of legal, historical, political, and strategic choices. The papers included dare to ask important questions with no easy answers to them: history matters, but how, where, when and how much needs to be examined very carefully in each and every individual case.